‘Tis the season to be thankful and to express our gratitude to those around us. Looking around, I am grateful for many things. 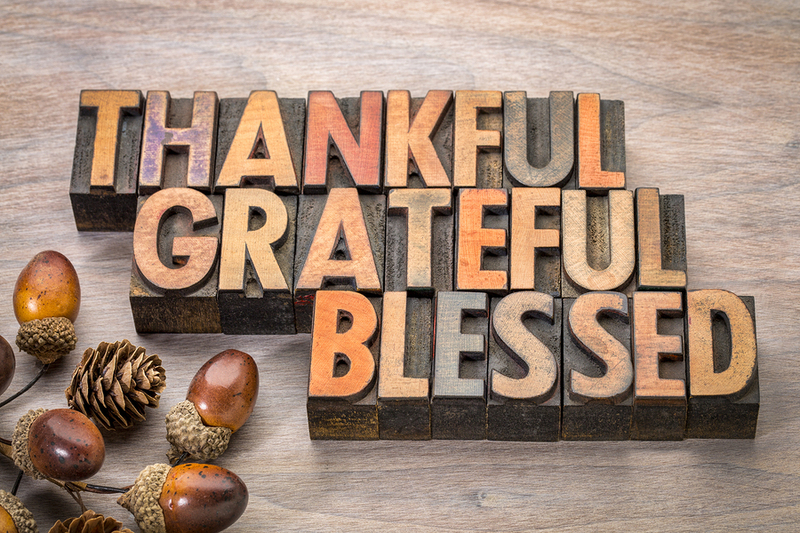 I wanted to share with all of our Sales Tax Institute readers what I’m thankful for this season. First and foremost, I want to thank all our amazing students. Without you, there would be no Sales Tax Institute. For over 20 years, so many of you have trusted us to help you master sales and use tax issues and learn crucial skills to advance your career, whether in-person or online. At our live courses, I’ve had the pleasure of meeting many of you face-to-face. Year after year, your excitement about the topics and enthusiastic engagement inspire me and keep me looking forward to the next year’s courses! It brings me joy to see both the current and the future generation of sales tax professionals excited to carry on the torch. I simply wouldn’t be able to present our courses without all the tremendously talented faculty members who teach at our webinars and live courses. Each and every one of them is an expert in their field, and I’m so thankful that they are willing to take the time to impart their knowledge to our Sales Tax Institute students. And I should mention that each time I see them teach one of our courses or webinars, I walk away with new knowledge as well. They’re a smart bunch – aren’t they?! Check out these amazing people who I’m lucky to also call my friends! I’m always thankful for the opportunity to learn from others, whether it is from the students and faculty at our courses, or at conferences I attend. So many great organizations have opened their doors and invited me to speak over the years – COST, IPT, IOFM, Vertex, Avalara, Chicago Tax Club, the KU Tax Club and many more. Thanks to each and every one of these organizations for giving me the opportunity to share my thoughts on topics that mean so much to me. Attending these conferences gives me the opportunity to interact with some of the brightest minds in the sales tax field. And to make some great friends! A big thank you to our 2017 Sales Tax Institute sponsors – Sovos, Avalara and Vertex. Their support has helped us to bring you the highest quality educational opportunities that we can offer. We’re very thankful for their ongoing support and are honored to be able to partner with them. I’m also so grateful to a group of people that are behind the scenes of the Sales Tax Institute – but without their help, we just couldn’t do what we do. Many of you have interacted with John Londay and Tatisa Joiner in our office. They help keep everything going and making sure we have the courses ready for you to register and are there to answer your questions! There are also a few others that are helping us come up with new ways to communicate with you – including through our newsletter, emails and web page. Thanks to Brad Farris and Angela Jackson from Anchor Advisors, Hilary Buuck, Hannah Bannister, the entire BizEase Support team and our web teams – Sandstorm and Orbit Media. With all their help, we have some great things planned for 2018 that I can’t wait to share with you (more about that in December!). Thanks to all of them for their wisdom, support, and friendship. And thanks again to you for putting your trust in us. The Sales Tax Institute’s mission is to provide practical sales tax training to help you do your job better and excel in your career. Whether you’ve attended our courses, have taken advantage of the resources on our website – such as helpful whitepapers, charts, news and tips and more – or just enjoy reading our newsletter, THANK YOU! It means so much to me to see that the Sales Tax Institute has helped people like you excel in your career paths. And for being part of my circle – because without friends it just isn’t as much fun. The many people I’ve met over the years have impacted who I am and for them I am so very grateful!